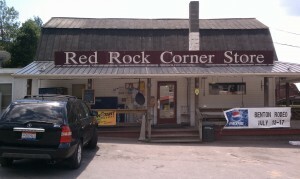 The Red Rock Corner Store sits at the intersection of PA Route 118, PA Route 487, Mossville Road, and Old Tioga Pike. There used to be a pizza place across the street on 118 and a mountain outfitter across the street on Mossville Rd. Both of those have closed down in recent years. In the winter the parking lot is dotted with a few cars and trucks who stop by to pick up great hoagies, hunting supplies forgotten at home, rock salt, or one of the many staples stocked on the shelves. In the summer, the Red Rock Corner Store is hopping as campers, hikers, and mountain enthusiasts flock to the area to climb Falls Trail at Rickett’s Glenn State Park, spend the days enjoying the beach and mountain water at Lake Jean, or try their luck at trout fishing in the areas several well-stocked creeks – Fishing Creek, Pine Creek, and Kitchen Creek being the most popular. If folks from out of the area have heard of Red Rock chances are it’s because of this little corner store – or the towering mountain across 118 that gives this little town its name. I’ve gotten to know this area of the state pretty well over the past few years. My wife’s aunt, uncle, and cousins live down the road from the Corner Store and we take every opportunity to head “up the mountains” for the weekend and for more extended stays during the summer. My two and a half year old son has already grown to love it up there. My wife and I actually spent our honeymoon in the area after we ditched our original plans to go to Alaska; we were just too damn tired to make the trip and opted for a quiet, relaxing stay up the mountains. Fans of the more popular Poconos would be hard pressed to find the amenities they expect if they were to come to this area. Red Rock and the surrounding areas are still “undeveloped” if your criteria for development involves malls, tourist shops, and fast food. Ten miles down the road is the closest town of Benton, PA. Benton is pretty typical for these mountain towns excepting its status as a sport fishing destination, its history as the location of the “Fishing Creek Confederacy” of 1864, and its annual Benton Rodeo . The median household income for Benton is just under $28,000 and it has a poverty rate just shy of 20%. The road into Benton – PA 487 – follows Fishing Creek through the hollows. Just outside Benton the winding road opens up to fields and a few small farms. That’s where I saw my first bald eagle. On the first day of our honeymoon, I saw a bald eagle. You can’t plan something like that. If you were to follow in our footsteps today you are less likely to catch a glimpse of a bald eagle soaring across the open fields as your attention would inevitable be drawn to the massive natural gas drilling site that sits on former farmland. The fate of this area that I have grown to love is wedded to the future of natural gas drilling in the Pennsylvania expanse of the Marcellus Shale. The fact that Governor Corbett and the PA Republicans refuse to tax natural gas extraction (even though it is taxed in every other drilling state) in the face of draconian cuts to education and social services borders on the unconscionable. The very real and devastating environmental consequences are perhaps even more disturbing, especially when we are talking about the poisoning of our drinking water and not only the disappearance of a species of bird or fish. The September 2009 fracking fluid spills in Dimock, PA – just 47 miles northeast of Red Rock – should have been a wake-up call for Pennsylvania citizens and our representatives. The Dimock spills and fracking disasters contaminated water supplies to the point where residents could light their water – yes, their water – on fire. all kinds of ugly things transpired . . . A truck turned over and caused an 800-gallon diesel-fuel spill in April 2009. Up to 8,000 gallons of Halliburton-manufactured fracking fluid leaked from faulty supply pipes, with some seeping into wetlands and a stream, killing fish, in September 2009. Many Dimock residents were having the same problems as the Sautners [a family featured in the article with new physical problems such as dizziness and skin sores and water turned so corrosive it scarred dishes]. A water well belonging to a woman named Norma Fiorentino blew up while she was visiting her daughter (Bateman). Pennsylvania officials — from both Democratic and Republican administrations — were all on the fracking bandwagon and the gas companies were generous with campaign contributions. Between 2001 and 2009, the natural gas drilling industry has given more than $3 million dollars to Pennsylvania lawmakers and has spent more than $5 million on lobbying (Marcellus Money). The flood of money and gaps in regulation like the “Halliburton Loophole” which exempts fracking from the Clean Water Act and other environmental oversight, as helped the Oil and Gas industry wind back the regulatory clock to 1968. Yet, unlike the infamous Cleveland’s Cuyahoga River that caught on fire in 1969 and led to the Clean Water Act, this time flammable water is delivered right to your faucet. While there is so much to say about the environmental impacts of fracking, I am not going to rehearse that debate here. If you are craving that information I’d strongly recommend ProPublica’s on-going fracking series or the HBO film, Gasland . I want to tell a different story. company housing tends to decrease labor troubles and . . . it has made it possible to keep out labor agitators. Under a system where only company houses are available the employer is able to select the class of workman he desires (247). From a governmental point of view company towns are “closed” being private property. Such general community functions as street cleaning and lighting, health and sanitary regulation, and administrative policing are vested in the controlling company. There is a distinct lack of self-government in all company towns. It is rarely that company towns are found within the limits of self-governing communities; they are generally industrial satellites of larger cities or are isolated hamlets (12). I know this is not the early 1900s and I am aware that the Molly Maguires and the Pinkertons are distant memories for most Pennsylvanians who remember them at all. However, Gov. Corbett’s and PA Republican’s refusal to tax the natural gas drilling industry coupled with cuts in the PA Dept. of Environmental Protection and a frantic push to drill asap, seem to be steps toward a return of the company town, albeit in spruced up, 21st century garb. That 21st century garb is the kind of movement that Naomi Klein tracked in her game-changing book, No Logo. In No Logo, Klein documented the rise of anti-corporate resistance to the growth of a two-fold process. On the one hand, within the developed world, especially the United States, corporate branding seemed to have taken over everything from sports stadiums, to clothing, to schools, to…well, you name it. Such branding seemed to announce that all public space was up for sale for corporate sponsorship. On the other hand, good-paying. stable manufacturing jobs were being off-shored to places like China leaving minimum wage “joke jobs” in their place. But Klein’s book did more than document a shift in economies or advertising strategies. She showed that “branding” was a surface feature of a fundamental restructuring of the global economy. The project of transforming culture into little more than a collection of brand-extensions-in-waiting would not have been possible without the deregulation and privatization policies of the past three decades. In Canada under Brian Mulroney, in the U.S. under Ronald Reagan and in Britain under Margaret Thatcher (and in many other parts of the world as well). corporate taxes were dramatically lowered, a move that eroded the tax base and gradually starved out the public sector. As government spending dwindled, schools, museums and broadcasters were desperate to make up their budget shortfalls and thus ripe for partnerships with private corporations. It also didn’t hurt that the political climate during this time ensured that there was almost no vocabulary to speak passionately about the value of a non-commercialized public sphere. This was the time of the Big Government bogeyman and deficit hysteria, when any political move that was not overtly designed to increase the freedom of corporations was vilified as an endorsement of national bankruptcy. It was against this backdrop that, in rapid order, sponsorship went from being a rare occurrence (in the 1970s) to an exploding growth industry (by the mid-eighties), picking up momentum in the 1984 Los Angeles Olympics (64). At first, these arrangements seemed win-win: the cultural or educational institution in question received much-needed funds and the sponsoring corporation was compensated with some modest form of public acknowledgement and a tax break. And, in fact, many of these new public-private arrangements were just that simple, successfully retaining a balance between the cultural event or institution’s independence and the sponsor’s desire for credit, often helping to foster a revival of arts accessible to the general public (64). When sponsorship took off as a stand-in for public funds in the mid-eighties, many corporations that had been experimenting with the practice ceased to see sponsorship as a hybrid of philanthropy and image promotion and began to treat it more purely as a marketing tool, and a highly effective one at that. As its promotional value grew — and dependency on sponsorship revenue increased in the cultural industries — the delicate dynamic between sponsors and the sponsored began to shift, with many corporations becoming more and more ambitious in their demands for grander acknowledgements and control (66). What happened in the decades of the 80s and 90s happened theater by theater, museum by museum, stadium by stadium, college bowl game by college bowl game. I can actually remember the jarring experience of watching the Sugar Bowl become the “Nokia” Bowl and the Fiesta Bowl become the “Tostitos” Bowl. Today, corporate sponsorship seems “natural” and each new generation is born into a branded landscape that is inseparable from their everyday lives. By saying that the current situation with the Marcellus Shale in Pennsylvania feels like the return of the company town in 21st century garb, I do not simply mean to suggest that the drilling industry is now marketing itself like the brands of the 1980s. No, this emergent company town is a new beast altogether. 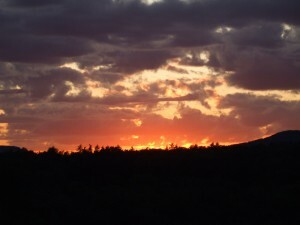 Last week my neighbors returned from a camping trip in Tioga County near Wellsboro, PA. They said that you could really see the impact of drilling as you drive up PA Route 15 from Williamsport into the Tioga State Forest outside of Wellsboro — the tell-tale square clearing skewered by a drilling rig in its center. One morning, my neighbor told me, she and her family went to a Dunkin’ Donuts for breakfast. Shortly after they began eating a local man from the Wellsboro area asked if he could join them at their table. Figuring that this guy nailed them from being out of town and that they had most likely stumbled into this guy’s regular table, my neighbors were more that happy to offer him a seat. The man only confirmed the friendliness of the local people and they easily fell into conversation. At one point, the issue of natural gas drilling came up. As my neighbor tells it, their new acquaintance had sold the mineral rights for his land in exchange for a pretty handsome sum of money. He told them that there is something that people from out-of-town don’t understand about drilling. The fact is, the money he got from the gas company was more money than he had ever had and it has allowed him to maintain his farm. The man made the case that you can hear a thousand times over across the Marcellus Shale region. The median household income for Tioga County is about $39,000 (roughly $10,000 below the state median household income) and about 16% of its residents live below the poverty line (state percentage is around 12%) based on 2009 U.S. Census figures. Tioga County is also one of the most Republican counties in the state. The presence of two popular natural attractions — the Pennsylvania Grand Canyon and the Pine Creek Rail Trail — help bolster Tioga County’s primarily agricultural economy. Like the Dunkin’ Donuts man, farmers across the Shale region are making similar choices…and, frankly, it’s hard to argue with their reasoning. What are you going to do? Tell this guy that he should turn down money that could save his livelihood so that folks from Bucks County can be assured their pristine vacation land? You can see how easily class lines can get drawn. That’s the way the game is designed. The dilemma that educational and cultural institutions faced in the 80s and 90s has been “democratized” down to the level of each individual landowner in the Shale region. Pennsylvania has followed the pro-corporate, privatization trend of states across the county. While Pennsylvania did manage to elect a Democratic governor, Ed Rendell, for two terms before the arrival of Tom Corbett and his budget ax, Rendell came down hard on organized labor, advocated privatizing much of the state infrastructure, and successfully turned Pennsylvania into Atlantic City’s biggest gambling rival with the legalization of slot machines and table games. The industries that once provided stable middle-class manufacturing jobs such as the steel industry are long gone. Instead, PA has seen rapid expansion of minimum wage jobs in areas such as warehousing and casinos. The recent economic downturn has only made job options worse. Sure, there is a bit of a Renaissance going on in parts of Philadelphia, but the vast majority of Pennsylvanians — especially in the Marcellus Shale county — are simply trying to maintain their economic well-being. Your oil or gas could be produced or captured from a well outside your property tract boundaries. In fact, your only protection is if your oil or gas property is subject to the Oil and Gas Conservation Law, 58 P.S. § 401.1 et seq. If so, the gas on your property could be included in a unitization or pooling order issued by the Commonwealth at the behest of a producer on a neighboring tract. That well operator would then have to pay you a production royalty based on your prorated share of the production from the well, depending on how much of your tract was deemed to be contributing to the well’s pool. This law applies to oil or gas wells that penetrate the Onondaga horizon and are more than 3,800 feet deep. DEP does not oversee or regulate pooling agreements in any way, except to see that the agreement is in place, if required, before issuing a permit to drill the well. In other words, a gas company could drill a well right next to your property line and then frack the well which could release gas from underneath your property. The company can then “capture” your gas through your neighbor’s well. While this is certainly a concern, lawyers and organizations specializing in landowner rights suggest that the “Rule of Capture” is not as big of a concern as it might seem. While there is a chance that gas companies could capture gas from your property, the process would not be cost effective for the company given the irregularity of PA property lines and the density of the Marcellus Shale. However, industry “land men” will often exaggerate the Rule of Capture to pressure unwilling sellers to give up their mineral rights. The goal of the industry is to keep landowners focused on their individual situation. And from an individual perspective, it seems almost foolish to turn down $180,000 for some abstract concern for the environment especially if you’ve got landmen telling you that they can get the gas under your property anyway. While landowners may be enticed to get on-board the fracking bandwagon with cold, hard cash, Marcellus Shale drilling may be even more attractive for non-landowners for the promise of jobs. The Keystone Research Center did a bang-up job taking apart Lieutenant Gov. James Crawley’s claim that Marcellus Shale drilling has led to 72,000 new jobs; the actual number of new jobs created is less than 10,000. Even so, 10,000 jobs are 10,000 jobs. However, facing an unemployment rate in Pennsylvania that is the highest in 30 years, a job is a job. And given that it looks like the drillers are here to stay, Shale country Pennsylvanians might very well be looking to drilling related jobs to provide some stable employment for a change. Again, as an individual who is un- or under-employed — getting on the fracking bandwagon seems like a smart move, especially when it looks like the drillers are going to be the only game in town. Don’t want to bite the hand that could feed you. Governor Corbett’s deep cuts in education and social programs and his refusal to tax the drillers only underscores the dominance of natural gas in Shale country. Corbett and the PA Republicans have set in motion a future in which the natural gas industry will dominate huge geographical regions of the state. Like the creeping corporate dominance that accompanied the rise of branding, what may look like a mutually beneficial relationship today will invariably lead to an industry that will become “more and more ambitious in their demands for grander acknowledgements and control” just like their brand-happy predecessors. The difference here is that the corporate take over is not piece meal. 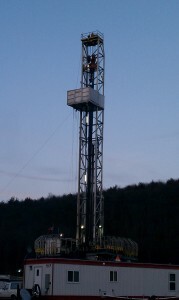 In PA, the Oil & Gas industry will be the largest player — if not the only player — in Shale country. PA will be effectively split between one big Company Town and its outlying urban areas and Harrisburg — our Capital City dog-and-pony show legislature doing the bidding of their corporate donors, further fracking up our Commonwealth. During my most recent trip up-the-mountains, my wife’s uncle gave me a copy of a newspaper called the Northeast Driller or The Driller. The Driller is available for free in convenient stores all around the region. In the upper-right-hand corner of the masthead is the slogan, “The voice of the gas drilling marketplace.” The The Driller states that it “serves” the Shale country counties of Bradford, Lackawana, Luzerne, Sullivan, Susquehanna, Tioga, and Wyoming. As it turns out, the The Driller has a wider circulation than convenient stores. 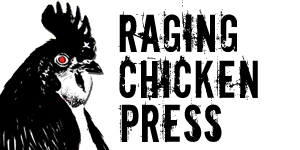 It is a 40 page monthly “insert” in five Shale country newspapers: The Daily Review Sunday, The Independent Weekender, Wyoming County Examiner, The Times-Tribune, and The Citizen’s Voice. Each newspaper has a mini version of its masthead printed below the main masthead of the Northeast Driller. A little digging tells you that all of the above papers are publications of the Scranton based corporation, Times-Shamrock Communications. The Driller reads pretty much like a hundred other local newspapers apart from its exclusive focus on the natural gas industry. It does not read like an industry publication, it reads like a community newspaper. I read article after article with titles such as “Updates Provided of Gas Companies’ Operations,” “Gas Companies Talk About the Process of Reclamation,” and “SRBC Reports on Monitoring of the Natural Gas Industry.” The more I read, the more I was interested in what this publication was actually trying to do. Then I read the article, “Northeast Driller Expands: “Driller” Now Monthly; Satellite Office Opens in Sayre.” Greg Zyla, the publisher of the Northeast Driller and president of Towanda Printing Company announced that the The Driller would expand its operations “to better serve the growing base of advertisers and allow the Driller editorial department to operate more efficiently.” Toward the end of the article (written by “The Daily Review Staff”), Zyla lays out the true purpose of The Driller. Zyla emphasized the importance of The Northeast Driller in continuing its role as “the voice of the gas drilling marketplace” in the several-county area. “If it has to do with the Marcellus Shale industry here in northeast Pennsylvania, we want to be here and bring you the news that you won’t receive in other publications.” Zyla emphasized how the drilling activity has spawned not only a new natural gas industry in the area, but how its growth impacts the infrastructure of our surrounding business community. It doesn’t get any plainer than that. What The Driller is doing is modern-day boosterism. Launched in February 2010, The Driller is an important artifact that shows us just how the Oil & Gas industry is establishing itself and how the drillers are rooting themselves in Shale county communities. In preparation for the 2010 Pennsylvania Farm Show, Canton FFA advisor Tom Hojnowski reported that the Canton FFA students assembled a display with the assistance of Talisman Energy, at the time known as Fortuna Energy, Inc., and then-Supervisor of Community Relations Janice Lobdell. On its surface, this “partnership” might seems to be a harmless exercise in collaboration that provides students with insider information while giving Talisman a feather in its cap as a “good neighbor” in Canton, PA. However, such forays in public education are not isolated incidents for Talisman and other natural gas companies. One might even call it a public relations strategy. 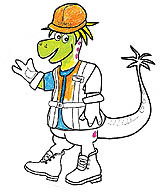 Talisman Terry, the “friendly Fracosaurus” star of a coloring book published by Talisman Energy, will no longer explain the natural gas drilling process to youngsters after the company announced plans today to stop distribution of the controversial children’s book. “Talisman Terry’s Energy Adventure” was a 24-page booklet that explained natural gas drilling in kid-friendly fashion and could be downloaded from the Calgary-based energy company’s website. It had been distributed at community fairs in northeastern Pennsylvania through the company’s Good Neighbor program. Talisman Terry’s message is overt and unapologetic: drilling for natural gas in formations like the Marcellus Shale is smart, safe and American. In the coloring book, the same plot of land doesn’t look much different in the “Before Drilling” and “After Drilling” illustrations. If anything, the “after” image seems more pastoral: new trees have been planted, a bald eagle soars over the hill, a rainbow has appeared. Talisman, however, is not alone. In an article in The Driller, “Local Brownie Troop Takes Part in Commercial for Chesapeake Energy,” tells the story of Troy Brownies, Troop 235 trip to local TV stardom. According to troop leader Sara Guilds, she and co-leader Laura Parks approached Chesapeake Energy with the idea of seeking sponsorship from the corporation for the Brownies. Unexpectedly, Guilds said, Chesapeake invited the 24 girls from the Brownie troop to help the corporation make a commercial demonstrating support for the natural gas industry. The fine also cited Chesapeake for a fire at a well site that injured three workers in February. The announcement didn’t mention the blowout at a Chesapeake well in Bradford County last month. That accident leaked a still-undisclosed amount of brine and hydraulic fracturing fluid onto nearby fields and into a creek. The department issued Chesapeake a notice of violation for that incident and is continuing to investigate. Or maybe, in a few years, people won’t remember the fine. I mean with all the Brownies commercials and industry assisted educational projects, the memory of the poisoned drinking water and historic fine might just begin to fade. After month after month of pro-industry reporting in The Driller and Oil & Gas donations to local schools — making up for PA Republicans gutting of public education — the natural gas industry might start to seem more like a necessary evil…or even an accident prone friend. Citing the changing nature of the debate over responsible energy development in America, and the continuing need to engage everyday people with facts and context on how these resources are being produced and what this work is already making possible for communities, Energy In Depth (EID) announced recentely the launch of a new grassroots effort focused on expanding opportunities for education and mobilizing supporters along New York’s southern tier and in counties across northern Pennsylvania. The program, knows as EID’s “Northeast Marcellus Initiative,” calls for the hiring of several full-time organizers charged with engaging and educating the region’s many supporters of the Mighty Marcellus, and providing them with the tools they need to act. DeSmogBlog has uncovered an industry memo revealing that ‘Energy In Depth’ is hardly comprised of the mom-and-pop “small, independent oil and natural gas producers” it claims to represent. 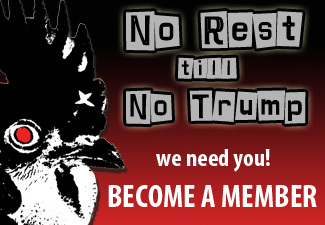 In fact, the industry memo we found, entitled “Hydraulic Fracturing Under Attack,” shows that Energy In Depth “would not be possible without the early financial commitments” of major oil and gas interests including BP, Halliburton, Chevron, Shell, XTO Energy (now owned by ExxonMobil), and several other huge oil and gas companies that provided significant funding early on and presumably still fund the group’s efforts. So what’s my point? I’m not naive enough to think it’s earth-shattering to find out that an Oil & Gas company has its PR folks going full throttle promoting their interests. Frankly, if that’s earth-shattering news, we’re in bigger trouble than I thought. No, the point is that what is happening right now is laying the groundwork for a whole new chapter of Pennsylvania history dominated by extraction industries and the Company Town model of civic life. 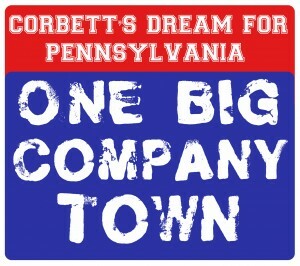 If you do the math it becomes pretty clear that the budget agendas of Corbett and Pennsylvania Republicans line up with radical right-wing groups across the country who want gut all things public and hand over the Commons to corporate Lords. While there has been a history of “moderate Republicans” in Pennsylvania, the folks in Harrisburg today are not those people. Corbett’s refusal to tax natural gas extraction should be understood for what it is: a loud proclamation that Pennsylvania is a Corporate Frontier. All the Oil & Gas Lords have to do is ram their drill into the ground and stake their claim. 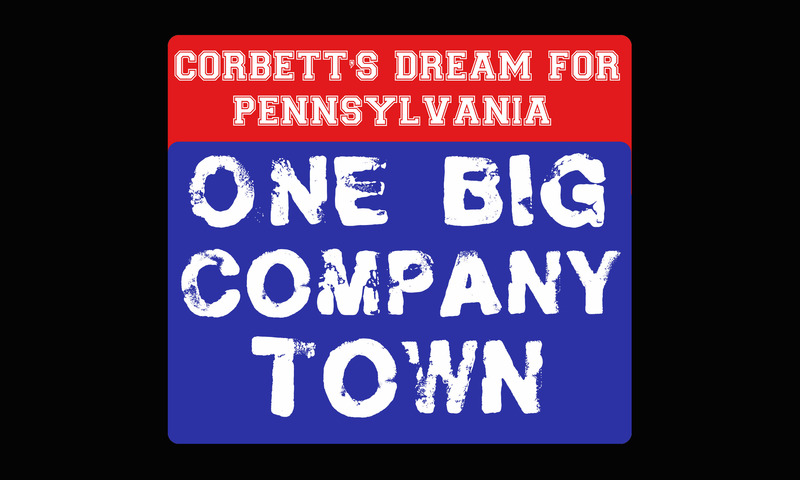 If we take away one lesson from this past year’s budget battles it should be that politicians cannot or will not stop the march toward Corbett’s Dream for Pennsylvania’s future. As Rick Smith has said on numerous occasions, the Republicans — at the state and national level — are out to repeal the 20th Century. Frankly, mobilizing all our efforts toward the 2012 elections is just too late. By the time the elections roll around irreparable damage will have been done. And, as the debt ceiling deal that just passed the U.S. House and Senate and was signed into the law by Obama should remind us, the Democrats have more experience in caving to right-wing demands than they do in mounting an effective defense of the majority of Americans. This one’s on our shoulder’s folks. This is a battle that is not going to be won in legislative chambers. It’s time we retake the Commons and tear up the script for the Company Store. It will probably be a few months before my family and I head up the mountains again. We are expecting our second kid any day now and I will return to teaching at Kutztown University as the fall semester begins all too soon. The next time I see the outline of Red Rock Mountain at sunset, the leave will probably be a brilliant mix of orange and red. The Driller will continue coaxing local residents to buy into the “All-American” Future of Natural Gas. More Oil & Gas money will flow into local schools and organizations as they frantically seek sources of revenue to make up for huge gaps left by Corbett’s budget ax. While I am concerned that this beautiful vista will still be there for my children, that this land will not become the next toxic ghost town, the next Centralia, I am more concerned that Pennsylvanians will trade democracy for jobs and be forced to live with those consequences for generations to come. Such a trade is part and parcel of the unrestrained corporate future that Corbett and Republicans around the nation are paving the way for. In his documentary, Trading Democracy, Bill Moyers exposed how Article 11 in the North American Free Trade Agreement (NAFTA) did just that. It allowed corporations to override the will of sovereign cities, states, and even the U.S. Government if their ability to profit was compromised by new law or regulation. The new Company Town on our horizon is poised to finish the destruction that NAFTA wrought in Pennsylvania and the U.S. manufacturing base. Once again simply defending the democratic promise has become a fundamentally radical and necessary civic duty.